For years, Steve Bond has been interviewing and recording veterans from all sides of the conflict, including air and ground crew. His aim was to transmit their engaging stories faithfully to a wider public. He spoke to British and German, German and Russian, British and Italian, American and German, who all shared the same piece of sky at the same time, in a sense, re-uniting them, sometimes also literally. This is not a book about the rights and wrongs of war, nor the strategies of the military commanders. It is about the experiences and feelings of those in the front line charged with delivery of said strategy. It deals with the sharp end of key campaigns, but also the less 'glamorous' sides of service life - selection, training, aircraft ferrying, etc. This is all original material and the stories of the veterans selected (some of them household names) are not edited but put in context by Bond, with overviews and annotations. 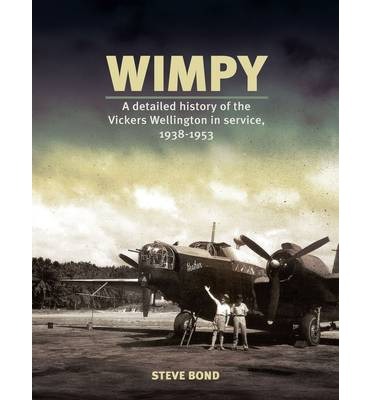 The result gives the reader an up close series of snapshots in time, which is always fascinating, often remarkably so, and will stand as a worthy and valuable testament to the airmen themselves. Veterans quoted are from the following groupings: Air Transport Auxiliary, British Army, Civilians, Fleet Air Arm, Italian air force, Luftwaffe, Royal Air Force, Royal Canadian Air Force and Navy, Soviet air force, US Army, US Army Air Force, US Navy et al. To date there has been a paucity of books on this remarkable aircraft. Among its claims to fame are the following: the only RAF bomber to serve in its original role from first day of war to last, and in every theatre; the first type to bomb Germany; the first type to bomb Berlin; the first type to drop the 4,000lb 'Cookie' bomb; and so on. A serious study is well overdue, drawing not just on official documentation but relying greatly on personal accounts and anecdotes from the veterans who were there, both air and ground crew. Operational detail will include, for example, the early bombing campaigns, the switch to main force activity, the use of OTU aircraft and crews on operations, the protection of Atlantic and Mediterranean convoys, and the continued use as bomber and transport aircraft. A worthy tribute, then, replete with original photographs throughout. The Gloster Javelin was the UK's first line of night and all-weather air defence both at home and in RAF Germany. In the 1950s, when it replaced the Meteor and Venom, this revolutionary bomber/interceptor became the focus of many great stories told here in terrific detail. With an unorthodox aerodynamic design, the Javelin initially had major production issues, which involved a tendency for engines to self-destruct under certain conditions. 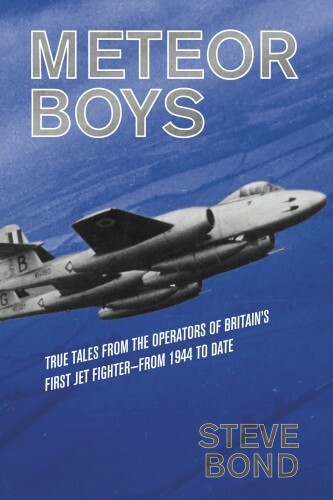 Despite this and the criticism it faced - its nicknames included 'Flying Flat-Iron' and 'Harmonious Dragmaster' - the aircraft still receives much affection from its former aircrew.Starting from the first deliveries of Javelins in 1956 until the final withdrawal from RAF squadron use in 1968, Javelin Boys describes adventures in Cyprus, Singapore during the Indonesian Confrontation and Zambia during the Rhodesian declaration of UDI. 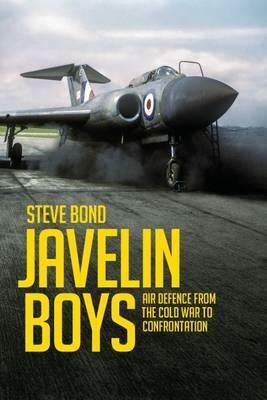 In this period a total of 434 Javelins were built, with their use spanning across eighteen different squadrons.Steve Bond has interviewed a number of veterans, all with captivating tales of their time on the aircraft. Alongside their anecdotes is a detailed history of this unusual aircraft, accompanied by photography never seen before in print. This book is bound to appeal to all aviation fans. 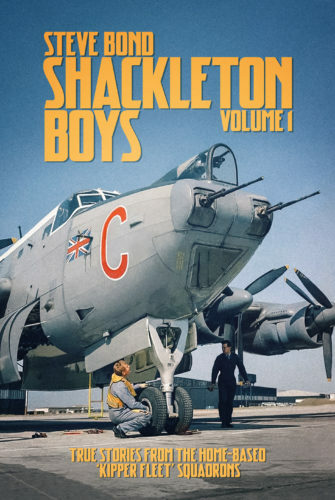 Essentially a development of the Avro Lancaster via the later Lincoln, the Avro Shackleton was the RAF’s first line of defence in the maritime role from 1951 for twenty years, thereafter continuing to serve as an airborne early warning aircraft for another twenty, until 1991. The ‘Old Grey Lady’, the ‘Growler’, ‘20,000 rivets in loose formation’, but mostly known simply as the ‘Shack’, it is viewed with great affection by those who flew and maintained it. In addition to its traditional sub-hunting role, it was also used extensively for search and rescue operations, and even as a conventional bomber in the Aden theatre. Operating around the world with squadrons based in the UK, the Mediterranean, Middle East and Far East, ‘Shacks’ were also used to support the blockade of oil supplies to Rhodesia during the UDI crisis in the ’60s and ’70s, and searching for gun-running boats during the Indonesian Confrontation. 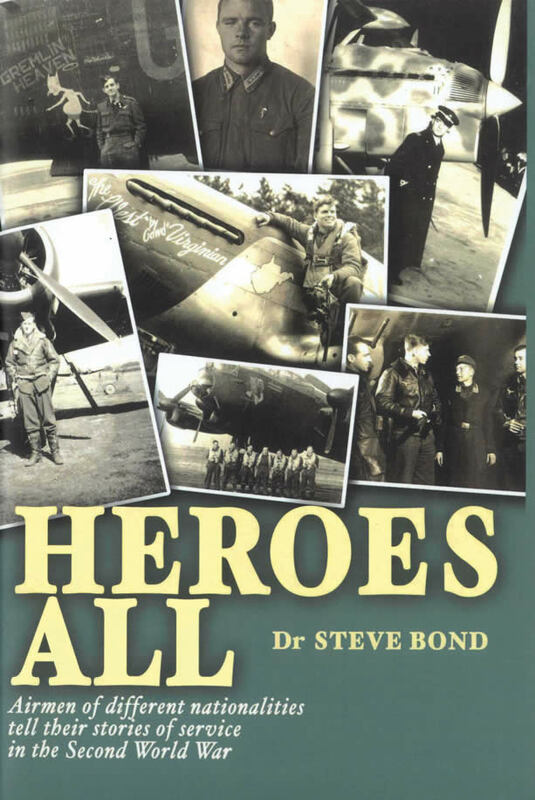 All of the Boys’ stories are from air and ground crew veterans themselves, and because there are so many vital and entertaining accounts, Steve Bond has divided his subject into two volumes. Consequently this volume will cover UK-based units flying from Ballykelly (including Aldergrove), Farnborough, Honington, Kinloss, Lossiemouth, St Eval and St Mawgan, plus many overseas detachments including Christmas Island and Majunga. To complement the detailed personal accounts and anecdotes are hundreds of original photographs and extensive appendices. A feast for any ‘Shack’ or military aviation aficionado. Volume Two (coming in 2019) will cover those units based overseas at Changi, Gan, Gibraltar, Khormaksar, Luqa (and Hal Far), and Sharjah, plus the South African Air Force operations from Ysterplaat/Malan.